Denise has always been enthusiastic when it comes to the beauty industry so pursuing it as a career was a natural progression. 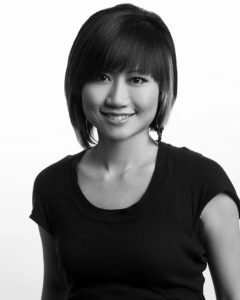 Always a trend setter and innovative, Denise has been in the beauty industry for 6 years, working at Taz for since 2008. Denise attended L’Oréal Academy for her education and continues to attends classes to become skilled at new techniques, trends and styles. Denise is a core member of the Taz team on Bloor, always delivering great service and has a large following of return clientele who seek her expertise. Denise specializes in Keratin smoothing service, which is a very popular service offered at Taz. Denise’s blow-dry services are also most sought after due to her skills. Denise has participated in numerous photo shoots, fashion shows and portfolios. Denise continues to expand her knowledge and skills so that she may continue to grow in the industry. Denise on her free time enjoys the outdoors and traveling.